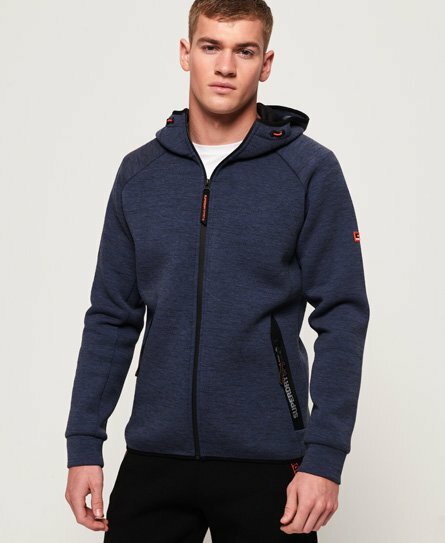 Superdry men’s Gym Tech stretch zip hoodie. This zip hoodie features two zip fastened front pockets, a bungee cord hood and stretch technology for ultimate comfort. This hoodie will keep you cool with ventilation details under the armpit, and thermal properties. The Gym Tech stretch zip hoodie is finished with a large Superdry Sport logo down one arm, a small logo badge on the other arm and a zip fastened pocket on the reverse to keep your keys and phone safe while on the move.